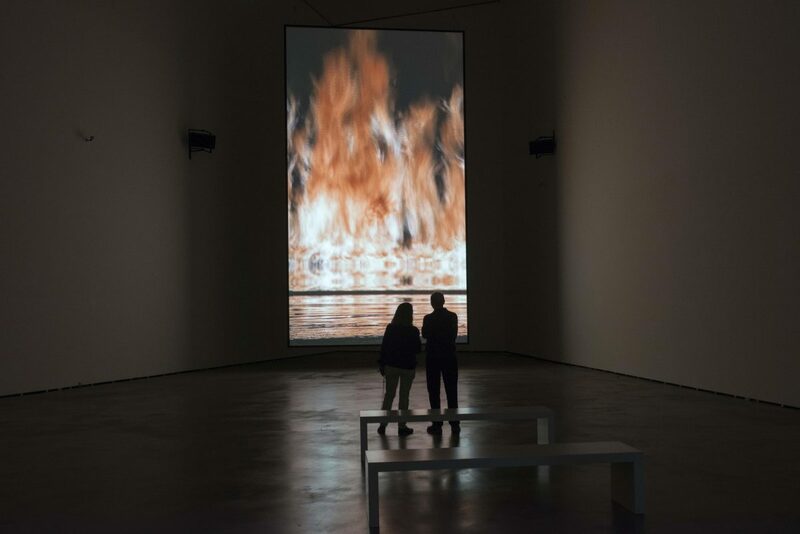 One of the highlights in a year of major museum shows, Bill Viola: A Retrospective at the Guggenheim, Bilbao is a comprehensive survey of Viola’s career to date. Part of a programme of events to celebrate the museum's 20thanniversary, the exhibition is curated thematically and chronologically. Tracing the development of Viola’s practice with some of his earliest pieces from the 1970’s - such as The Reflecting Pool (1977–79) through to recent works, it includes immersive large-scale pieces such as Going Forth By Day. Commissioned for the Guggenheim in 2002, Going Forth By Day is an epic, five-part projection installation that addresses the complexity of human existence and explores cycles of birth, death, and rebirth.